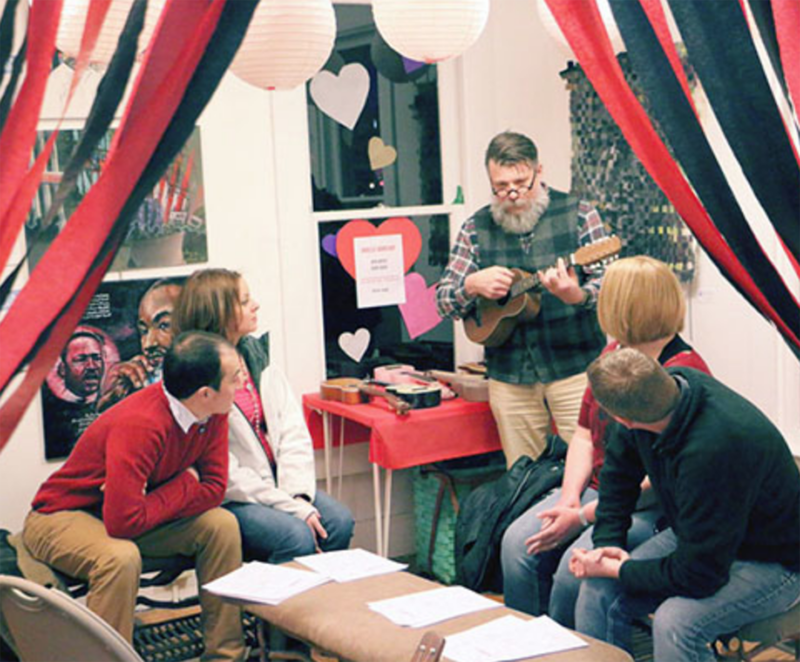 From 6 to 9 p.m. Feb. 14-16, Nickel Plate Arts will help couples celebrate Valentine’s Day with a unique date night. Six local artists will host art stations for couples to create art together. Refreshments and a cash bar of beer and wine will be available. Each project is $10, or couples can work through all six art stations for $50. For more, visit nickelplatearts.org. Nickel Plate Arts has designed heartwarming art station for guests to create items together, either to keep or give as gifts from 10 a.m. to 5 p.m. Feb. 9 at the Nickel Plate Arts campus, 107 S. Eighth St. Holiday treats will be provided. Each craft is $10, or attendees can pay $30 for unlimited crafts. Logan Street Sanctuary, 1274 Logan St., will showcase local comedy, with local comedian Josh Eger as the event host, from 8 to 10 p.m. Feb. 16. A $5 donation is suggested. Through March 29, the Hamilton County Artists’ Association members will again bring the “Loving Large” exhibit to Noblesville City Hall, 16 S. 10th St. Pieces on display will be from artists who enjoy creating large-scale pieces. The exhibit can be viewed for free during city hall business hours, from 8 to 4:30 p.m. Monday through Friday. Each month, Nickel Plate Arts presents a showcase of artwork by a local artist or art group inside its Stephenson House Gallery, 107 S. Eighth St. For February, paintings from local artist Michael McGuire will be on display. A special showcase reception will take place on from 1 to 4 p.m. Feb. 10, and the exhibit can be viewed throughout the month during Nickel Plate Arts’ regular gallery hours, from noon to 5 p.m. Wednesday through Friday, and from 10 a.m. to 5 p.m. Saturday. “In the Name of Love” will feature artwork from artists in the Nickel Plate Arts region that explores the sentiments of affection, devotion and friendship. The exhibit can be viewed at Nickel Plate Arts’ Judge Stone House Gallery, 107 S. Eighth St., during normal gallery hours, from noon to 5 p.m. Wednesday through Friday, and from 10 a.m. to 5 p.m. Saturday. The Hamilton County Artists’ Association each year holds an exhibit featuring its new lineup of juried artists at The Birdie Gallery, 195 S. Ninth St. Guests are welcome to view the exhibit for free through the month of February, from 1 to 3 p.m. Thursdays, 1 to 4 p.m. Fridays and 10 a.m. to 4 p.m. Saturdays.